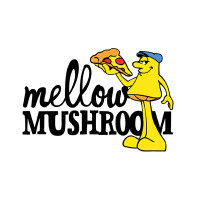 Mellow Mushroom is a restaurant company which started out making and selling pizzas in 1974. Throughout the years, the menu of the restaurant expanded and included other items such as calzones, salads and burgers. The first location opened at Spring Street in Atlanta, Georgia. By 1976, due to demand, the owners expanded the Atlanta restaurant by cutting a hole in the building’s wall and attached a bus as additional seats. By 1978, the Emery Mellow branch opened. It is the oldest branch still running until now. By 2011, the Mellow Bake bus hit the road. As the company’s name suggests, it is all about providing delicious food in a creative and fun environment. The founders envisioned a restaurant with a hip and chill theme. They wanted their customers to have an unforgettable dining experience. It has several locations across the country. This hip and fun restaurant chain has branches in Salt Lake City, Mesa, Fort Lauderdale, Toms River, North Charleston, Downtown Denver and many more. Aside from having physical stores in several locations across the country, Mellow Mushroom also caters special events. You can never go wrong with pizza! Instead of bringing your guests to the physical store, this restaurant and catering company brings the food to you and your guests! Unlike other pizza chains, Mellow Mushroom catering accommodates the requests of the client to tweak their menu to accommodate the client’s needs. The restaurant is open to concerns with regard to food allergies and other food preferences. Those who want vegetarian or gluten-free food need not worry. Aside from that, those in a budget need not worry as the items in the menu are reasonably-priced. Mellow Mushroom’s food is also perfect for sharing. The Mellow Mushroom catering menu differs with each location. However, the following are the restaurant’s specialty pizza: Gourmet White, Kosmic Karma, House Special, Mighty Meaty, Magical Mystery Tour and Funky Q-Chicken. The restaurant is also famous for their drinks. Diners love the restaurant’s craft beer and the handcrafted cocktails. The restaurant has been making handcrafted cocktails for over 40 years. Other than the menu, the ordering process also differs with every location. It is advisable to contact the closest branch when arranging a catering event. For example, the branch at Charleston caters daily between 11 am to 3 pm and 5 pm to 11 pm. The branch caters until midnight every Friday and Saturday. The branch also requests that those who wish to avail of their catering services give them a heads up. Customers are raving about this restaurant. One reviewer from Arizona said that the there was a 100% return of the price he paid for the food. He also mentioned that the service staff are friendly and attentive. Other reviewers loved that the Mellow Mushroom catering menu did not only have pizza. It had different courses such as salads, hoagies, appetizers (which they call as munchies), desserts, refreshments and the pizzas. The price for the salads, hoagies, appetizers, desserts and refreshments are fixed. However, the price for the pizza differs according to the size, slice and number of guests. Some branches are open to food requests. It is however ideal to place such order at least 24 hours before the event. Some branches of the restaurant give discounts to clients who place their orders ahead of time.